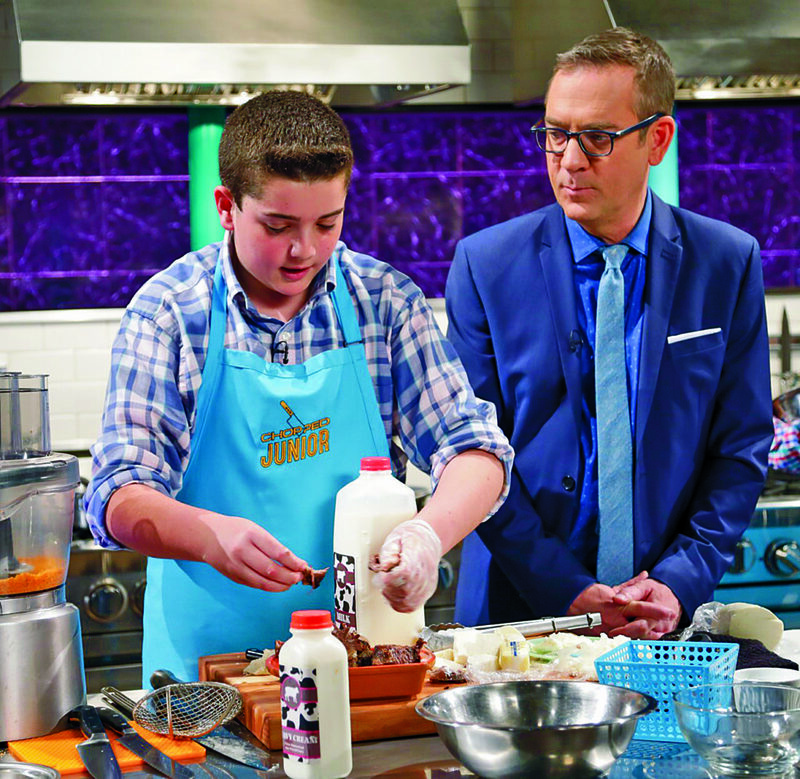 Sam Kanterman with Chopped Junior host Ted Allen. One of H.B. Thompson’s own will be soon be on the chopping block. This Tuesday, May 16, eighth-grader Sam Kanterman will be featured in an episode of Food Network’s Chopped Junior. Entitled “Mac and Cheese, Please!” the episode, airing at 8 p.m., will feature Kanterman and other young chefs as they celebrate mac and cheese in all three rounds, beginning with appetizers containing the ready-to-make version. Then the two mystery basket items, a bright orange snack and fancy cheese, must work their way into entrées, and in the final round, mac and cheese must be interpreted in dessert form. Kanterman, who began to take an interest in the art of cooking around the age of four or five, had to undergo a lengthy process before receiving word that he was picked to be a contestant. He first had to submit a video of himself cooking to the show’s producers, then took part a Skype interview, in which he made his signature Quiche Lorraine dish, a savory crusted quiche consisting of egg, bacon and cheese. 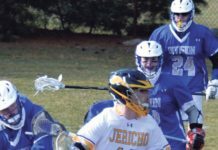 The 14-year-old culinary aficionado is well-versed in many cuisine types, specializing in Mexican and Italian, or as he describes it, all things “carby.” His family, highly appreciative of his cooking capabilities, especially enjoys his sloppy joes and cauliflower mac and cheese creations. His love of food preparation stems from a need to accommodate his food allergies, as he must refrain from sesame seeds, peanuts, tree nuts and sunflower seeds. With much help from his childhood babysitter, Kanterman began to learn how to cook without using such ingredients. Participating in Chopped Junior gave Kanterman a chance to explore his abilities in the kitchen further, allowing him to utilize ingredients and tools he may not always have readily at home. While Kanterman can navigate a kitchen better than many adults, he recognizes that he must keep challenging himself in order to improve. He indicated that for his next venture, he would like to delve into the baking scene and create a mirror glaze cake, a baked treat with a reflective, shiny outer coating. For now, keep up with Kanterman and the results of his Chopped Junior episode on Tuesday, May 16, at 8 p.m. EST on Food Network. 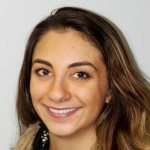 Nicole Lockwood is the former editor of the Syosset Jericho Tribune and New Hyde Park Illustrated News.